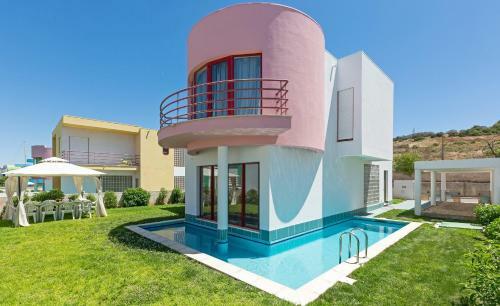 Set in the Olhos de Água district in Albufeira, 6 km from Oura Beach, Flor da Falésia Villas features a year-round outdoor pool and views of the garden. Free private parking is available on site. Holiday @ Poolside offers accommodation in Albufeira, 1.9 km from The Strip - Albufeira and 2.4 km from Oura Beach. The apartment is 2.9 km from Fisherman's Beach. Located in Albufeira, this holiday home is situated 2.4 km from Albufeira Marina. The property is 3.7 km from Old Town Square and boasts views of the sea. Free private parking is available on site. 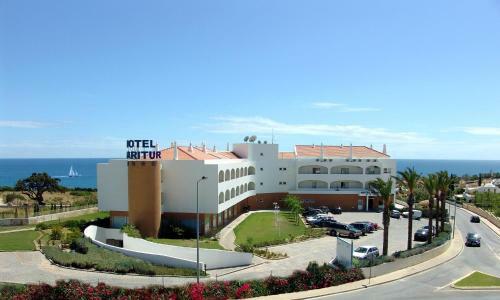 Hotel Maritur offers outdoor and indoor swimming pools, and spacious rooms with furnished balconies. It takes a 10-minute walk to reach Praia de São Rafael Beach. All air-conditioned rooms have TV with satellite channels and a work desk. Situated 100 metres from Albufeira Marina in Albufeira, this air-conditioned villa features a balcony and a garden with an outdoor pool. Guests benefit from patio and a year-round outdoor pool.